Home of the big easy, the state of Louisiana has endured some hardship in recent years. Today, the tourism industry has returned to the boot shaped state with a vengeance, offering RV travellers many wonderful opportunities to see the best of Louisiana. While New Orleans is a must see for most visitors, make sure to take the time to see its natural beauty as you drive your RV rental in Louisiana. Major cities include: New Orleans, Baton Rouge, Shreveport, and Lake Charles. All of these cities are great for an RV rental Louisiana. In the heart of the French Quarter lies Bourbon Street. This famous party spot is an “adults only” attraction. Clubs and bars line the street, with Louisiana’s beloved jazz music spilling out of every door. If you are not a partygoer, Bourbon Street is still worth a visit for the food alone. Just about any door you stumble offers fantastic options of crawfish, etoufee, and gumbo. Don’t leave Louisiana without a visit to Bourbon Street. If you plan to drive your RV rental in Louisiana to Baton Rouge you must make a stop at the USS Kidd Veterans Museum. Named after Rear Admiral Isaac C. Kidd, USS Kidd is a Fletcher-class destroyer that is now sitting on dry ground right in the heart of Baton Rouge. The veteran’ museum is adjacent to the former navy destroyer. It showcases one-of-a-kind artifacts, exhibits, collections, a memorial wall, freedom shrine, and many more. It also offers planned activities for both veterans and the public. The museum is open daily from 9 am to 5 pm. RVers traveling in their RV rentals in Louisiana to Lafayette must check out Vermilionville. It is a living history museum and folk life park, perfect for those who want to learn more about Louisiana’s culture and history. Opened in 1990, Vermilionville features an early Acadian settlement using original structures dating from 1765 to 1890, numerous exhibits, a healer’s garden, and artisans showcasing their skills in arts and crafts. You can either take a self-guided tour or a guided tour around the village. You can also do some shopping at La Boutique. Vermilionville is open Tuesday through Sunday, from 10am to 4 pm. If you have plans of driving your RV rental in Louisiana to Baton Rouge, and spend a few days exploring the city and its surrounding areas, your best option would be to stay at the Baton Rouge KOA. Like other KOAs across the country, Baton Rouge KOA is a family oriented campground packed with facilities and amenities. It has 54 available full hookup sites with patios, tables, and fire rings. 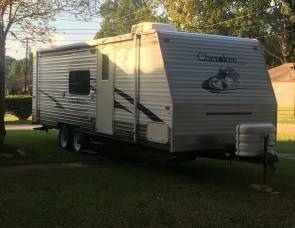 Facilities and amenities include wifi-internet access, cable TV, swimming and wading pool, whirlpool, playground, pavilion, recreational hall, game room, groceries, restrooms and showers, laundry facility, and staffed RV wash for your camper rental Louisiana. Enjoy the Baton Rouge KOA all year round! 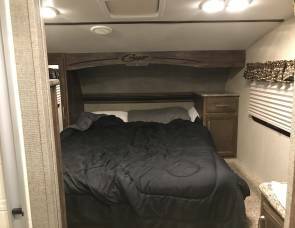 Ideal for a travel trailer rental in Louisiana, Jude Travel Park of New Orleans is the perfect choice if you want to spend a few days in New Orleans, and explore this very unique and interesting city. 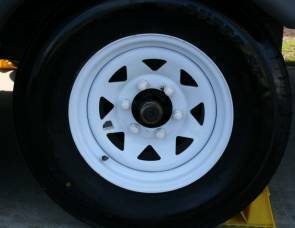 It has 31 available full hookup sites with room for slideouts. 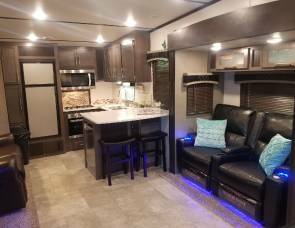 Facilities and amenities include a swimming pool, whirlpool, pavilion, wi-fi internet access, cable TV, guest services, restrooms and showers, laundry facility, and control access gate for your travel trailer rental Louisiana. Feel safe and secure at Jude Travel Park of New Orleans, open all year round. 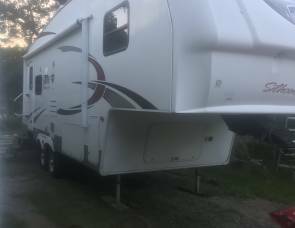 Located just a few minutes from Lafayette, Bayou Wilderness RV Resort can accommodate all types of RVs including a trailer rental in Louisiana. It has 121 available full hookup sites with room for slideouts. It is fully packed with facilities and amenities including a swimming pool, playground, fishing, tennis court, outdoor games, recreational hall, horseshoes, wi-fi internet access, cable TV, groceries, fishing supplies, RV storage and supplies, restrooms and showers, laundry facility, and control access gate for your trailer rental Louisiana. Have a great time at the Bayou Wilderness RV Resort, open all year round for a motorhome rental Louisiana. Aside from the world famous Mardi Gras in New Orleans, the state Louisiana loves to celebrate festival and events all year round. If you love strawberries, you must check out the Ponchatoula Strawberry Festival which takes place every April in Ponchatoula, also known as the “Strawberry Capital of the World”. This family-friendly event is all about strawberries! This three-day events feature lots of food, entertainment, games, and contests for the entire family. Have a strawberry filled time at the Ponchatoula Strawberry Festival when you rent RV Louisiana. The International Rice Festival is a three-day event celebrating Crowley’s being one of the country’s largest producers of rice crops. This annual festival was established about 80 years ago, and takes place every October. Everyone is invited to attend one of southwest Louisiana’s biggest parties! It features live entertainment, beauty pageants, cooking contests, rice grading contest, 5K walk/run, a classic car show, a senior citizen’s ball, a grand and children’s parade, rice eating contest, frog derby, a family fun day, and so much more! There is so much to enjoy in Louisiana that even seasoned travelers cannot get enough of it! 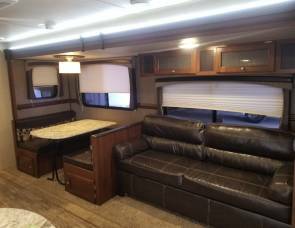 Why not rent a motorhome to Louisiana at RVshare and enjoy the Pelican State! Thank you for choosing RVshare for your Lousiana RV rental!